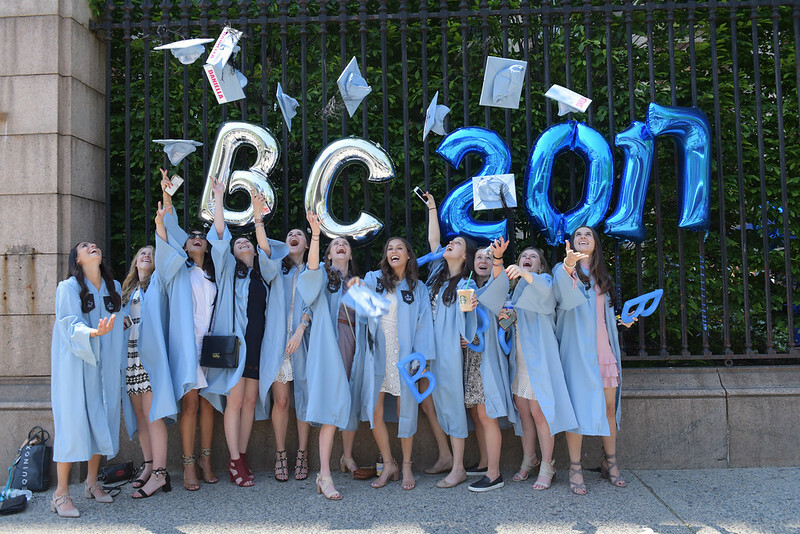 Exceptional leaders who have shaped health care, education, fashion, philanthropy, and humanitarian work celebrated the Class of 2017 at Barnard’s 125th Commencement on Wednesday, May 17, at Radio City Music Hall. Dr. Joanne Liu, the international president of Médecins Sans Frontières (Doctors Without Borders) and associate professor of medicine at the University of Montreal, delivered the keynote address before an audience of more than 4,000 people, including Barnard’s 614 graduates along with faculty, trustees, staff, family, and friends. Liu also received the Barnard Medal of Distinction, the College’s highest honor, together with three other honorees: Johnnetta Betsch Cole, director of the Smithsonian National Museum of African Art; Diane von Furstenberg, legendary fashion designer and philanthropist; and Zainab Salbi, best-selling author and founder of Women for Women International. Read the citations for Cole, von Furstenberg, Salbi, and Liu. Read a transcript of Interim President Goldberg’s speech. Additional speakers included Jolyne Caruso-Fitzgerald ’81, chair of Barnard’s Board of Trustees and CEO of the Alberleen Group, and Provost Linda A. Bell, who offered greetings on behalf of the faculty. Senior Class President Prianka Jhaveri ’17 gave the “Charge to the Class of 2017,” and Sarah Kim '17 was awarded the Frank Gilbert Bryson Prize. Ilana Lehmann ’17 and Molly Lo Re ‘17 offered reflections on the academic and student experiences, respectively. Senior Fund chair Margaux Charmey ‘17 announced a senior class gift of $22,000, 75% of which is going to the Bear Essentials Fund, which provides essential items not covered by traditional financial aid packages. The remaining 25% of the gift will support the newly endowed Ann and Andrew Tisch Scholarship for Refugee Women, which will cover all expenses for the year for a refugee student displaced from an area of conflict.